Wedding cake ceremony cutlery set.This set includes one 12" long cake knife and one 9.5" long cake server. Both are made of stainless steel. The handle is made of cream acrylic. 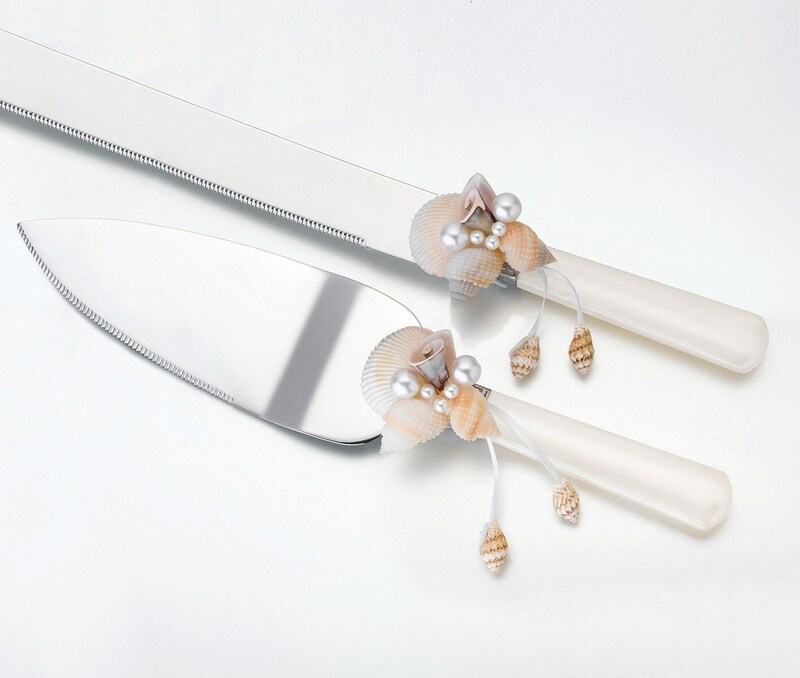 Each is accented by a removable seashell and bead decoration.